Combine the spices in a small bowl. 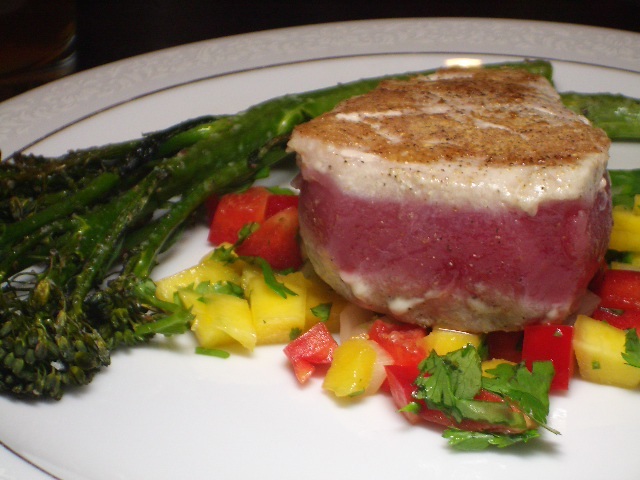 Rub on each side of the tuna steaks. Meanwhile, heat the olive oil on a stainless steel skillet. When hot, add the tuna steaks. Sear for 1 minute on each side and serve immediately. ENJOY!